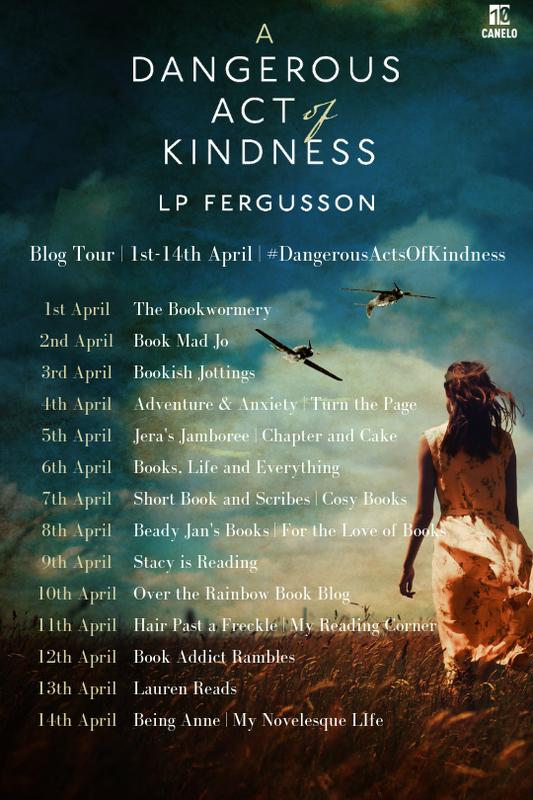 As a huge fan of historical fiction, I was very excited when I was asked to be part of the blog tour for A Dangerous Act of Kindness by LP Fergusson. Read on to find out what I made of the book! When widow Millie Sanger finds injured enemy pilot Lukas Schiller on her farm, the distant war is suddenly at her doorstep. Compassionate Millie knows he'll be killed if discovered, and makes the dangerous decision to offer him shelter from the storm. A Dangerous Act of Kindness is a beautiful, harrowing love story, perfect for fans of Rachel Hore and Santa Montefiore. LP Fergusson grew up on the borders of Wales in a Tudor house on the banks of the River Wye. As a child she longed to go back in history. Now she does, through her writing. She has an MA in Creative Writing from Oxford Brookes University and won the Blackwell's Prize for MA Creative Writing. 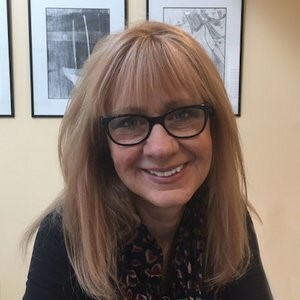 Her stories have made a number of shortlists for competitions run by the Orwell Society, Oxfordshire Libraries and Flash500. 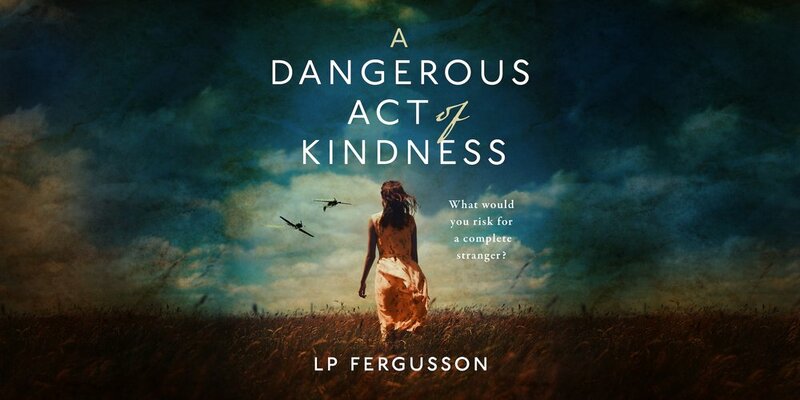 Her psychological thriller reached the final three of a Quercus/Psychologies Thriller competition and her wartime novel A Dangerous Act of Kindness was Highly Commended in the Caledonia Novel Award 2018. She edits the historical blog With Love from Graz which was featured on BBC Radio Wales, Radio 2 and BBC4's A Very British Romance with Lucy Worsley. She now lives in an Oxfordshire village beneath the chalk downs where her debut novel is set. This is an incredibly powerful book that had me fully engrossed from the very start. I absolutely love historical fiction, and this is genuinely one of the best I've read. I felt as if I'd been plunged into rural England in the 1940s, and the attention to detail was second to none. The skilful writing throughout had my heart sinking and my stomach dropping at close calls and the anguish both the main characters felt. This book features a host of very real, very credible characters. The dialogue, which I can often find a little on the unlikely side in historical fiction, genuinely felt like a group of neighbours talking and was highly engaging. While not every character was always likeable, they felt like real, authentic, fully-formed people, which I loved. My favourite character actually ended up being Lukas himself. I thought the development of his character, particularly after he had left Millie, was really unique and such a fresh perspective. It made him a sympathetic character without crowbarring it in - it was a natural and smooth progression of thought that really added a huge amount to the overall plotline. This entire narrative was fascinating, and I struggled throughout to work out where the plotline would go next. Every time I felt there was an obvious ending, it switched seamlessly and kept up the tension while remaining wholly plausible. This book also has without a doubt the most interesting 'Authors Note' I've read, so do make sure to check it out once you've finished! I really can't tell you how deeply I fell in love with this novel. All I will say is that I got to the end and sobbed, partly just because the book was over. I really couldn't recommend this enough - the themes of guilt, betrayal, and loyalty are universal but they are played out here in the most poignant and bittersweet way. A definite five star read. Be sure to check out the other blogs hosting A Dangerous Act of Kindness on this tour!